The VacMaster-96 sample processing manifold has been designed with the needs of the bioanalytical scientist in mind. This manifold is ideal when processing 96-well SPE, supported liquid extraction or protein precipitation plates either manually or with an automated liquid handling system. The robust, inert construction materials make it easy to clean – particularly important for biological fluid applications. 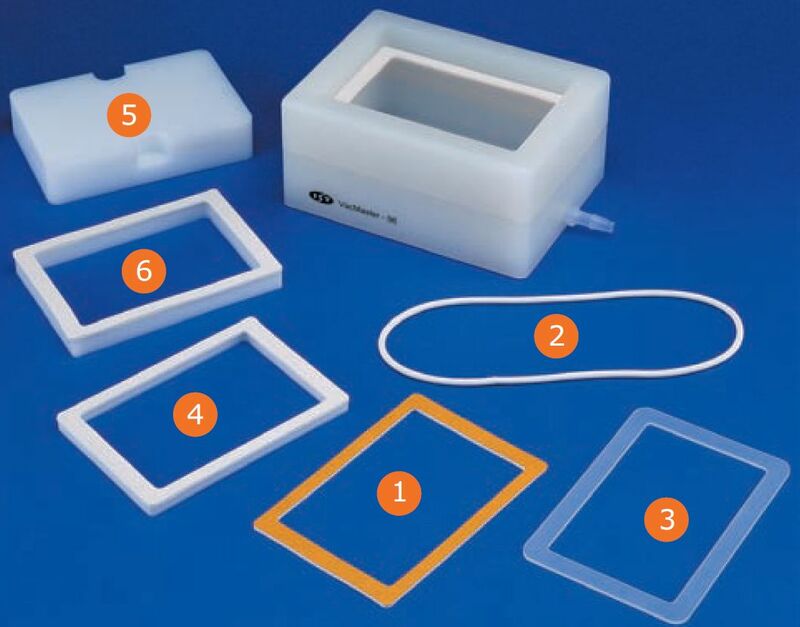 Fully compatible with both fixed well and modular Array plate designs from Biotage, the VacMaster-96 can also accommodate other brands of 96-well extraction plate using a range of spacers. A wide variety of collection plates can also be used, and cross contamination between wells is minimized by correct use of inserts and spacers in both base and lid, which aid plate positioning. The VacMaster-96 is optimized for use with automated liquid handling systems, with features designed to minimize manual intervention. Its lightweight construction allows the lid to easily be manipulated, and the optional standalone vacuum control units mean space requirement on automation decks is minimized. The sloping polypropylene base drains waste quickly out of the manifold base, eliminating the need for a removable waste tray. Free standing vacuum control units are available in two formats. Both polypropylene units are equipped with vacuum gauge and fine vacuum controller.